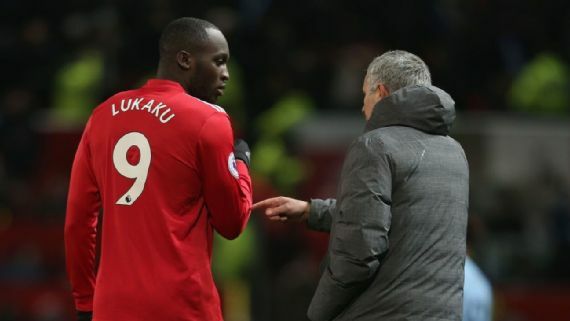 Manchester United manager, Jose Mourinho, has admitted Romelu Lukaku is “tired” but insists he cannot rest him. Lukaku has scored four goals in his last 19 games, after starting his United career with 11 in his first 10 appearances. The Belgium striker has been blamed for goals United conceded against Manchester City and Burnley. He has played every minute of United’s 20 Premier League games so far this season and started 27 of their 30 games in all competitions. “First of all, people don’t have to be grateful to Romelu. I have to be, not you, not the supporters, not the pundits. I have to be. “I think for a striker, any player, he’s absolutely incredible, but if you are a central defender, a holding midfield player, where you can control your energy, positional play, you can resist, survive. “But for a striker to play 20 matches in the Premier League, 90 minutes, I have to be grateful. “Is he unlucky in our box in recent matches? He was in the picture, was not a direct influence on just him, but he was in the picture in some of the last goals we concede, but it is a consequence of a player that really needs a little rest.